Once again we have teamed up with our good friends at Huckberry to update our custom, curated BTS Shop. We have picked the most exciting fresh deals this month, with some great opportunities to get your hands on the coolest apparel and travel gear for an active lifestyle and outdoor adventures. Check out our new curated list of some of the coolest products and deals available this month of August on Huckberry. Drawing on their decades of experience designing the best hiking boots around, Danner designed the Vertigo 917 with the urban explorer in mind. 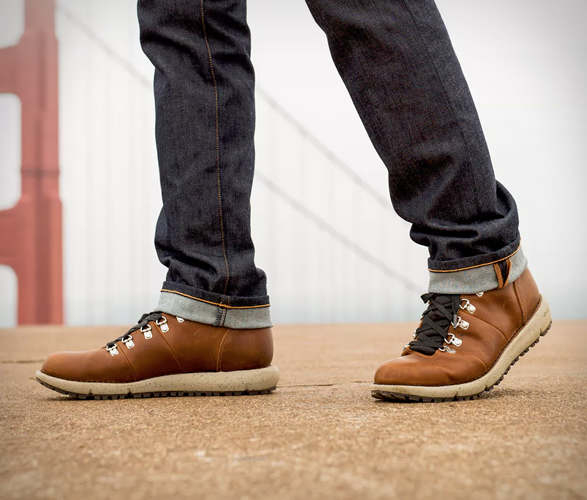 Outfitted with all the technical details that make Danner’s trail boots among the most popular but with a lightweight sole and twin gores for easy on and off, the Vertigo is ready for any urban or outdoor adventure you find yourself on. Grayl’s Ultralight Purification Bottle employs a unique "French press”-like system to make filtering water a cinch, whether you’re traveling in destinations unknown or deep in the backcountry. It’s award-winning design makes it easy and fast to drink pure, clean water anywhere in the world in less than 15 seconds. Giant shave kits don’t make sense when you’re packing light, so the boys at Topo were kind enough to make you this Dopp Kit. The triangular shape allows it to sit upright on small hotel shelves and provides easy access to everything you need. The size is small enough for the travel light crowd, but roomy enough to hold all you’d need to stay looking good on the road. If you love EDC and multitools, you´ll love this combo that lets you carry just one tool. 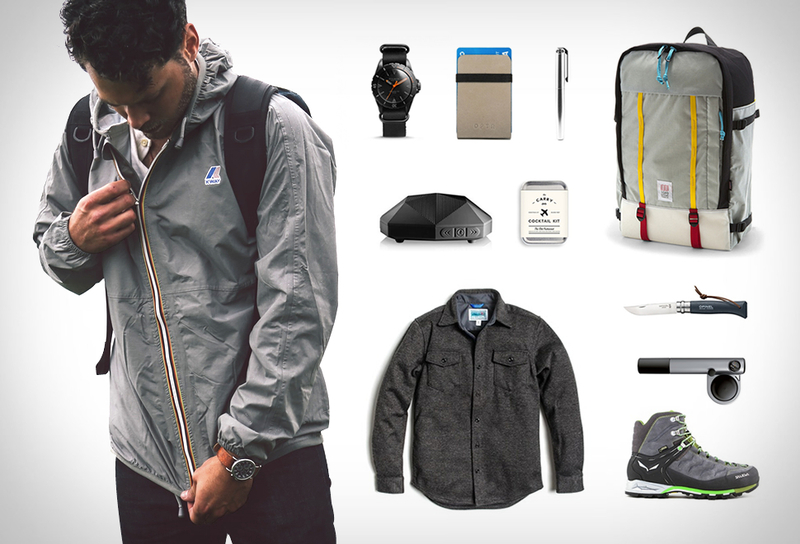 The Huckberry Compact EDC Kit packs neatly into a compact carry system, it features the popular Keysmart Extended as a base chassis, and several essential modular attachments that fit right into it, a griffin pocket tool, a bit driver, pry tool, bottle opener, screwdrivers, four wrenches, and a folding knife. In addition to the EDC tools, it also has room for two to three keys, and a paracord lanyard. Perfect! Billykirk makes leather and canvas goods that are designed not only to last you a lifetime, but also to get better and better with every step along the way. 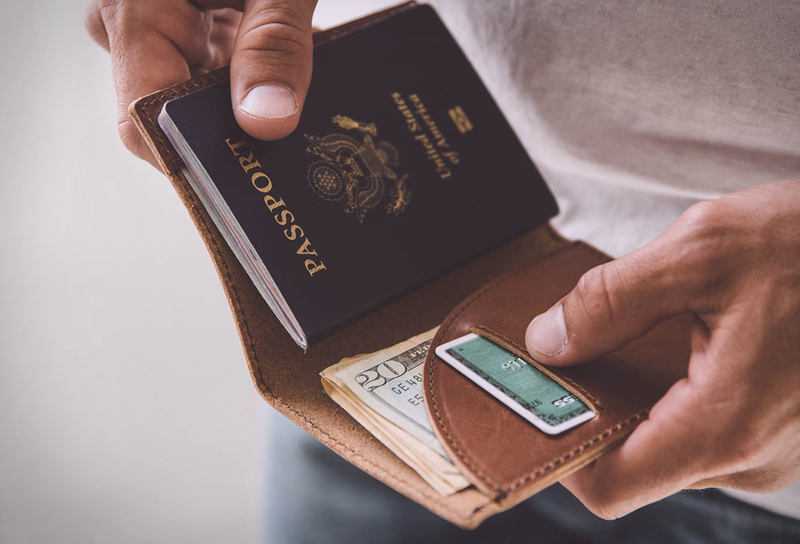 The Leather Card Case with Flap is a simple solution to carrying your cash and cards in a leather case without any frills or unnecessary features weighing your pocket down. Patagonia needs no introduction: their dedication to improving the way outdoor gear is manufactured and sold has made them a legend among outdoorsfolk the world over. Their classic foam-front trucker hat gets the snow-inspired treatment from artist Adam Haynes by way of a printed design on the crown. 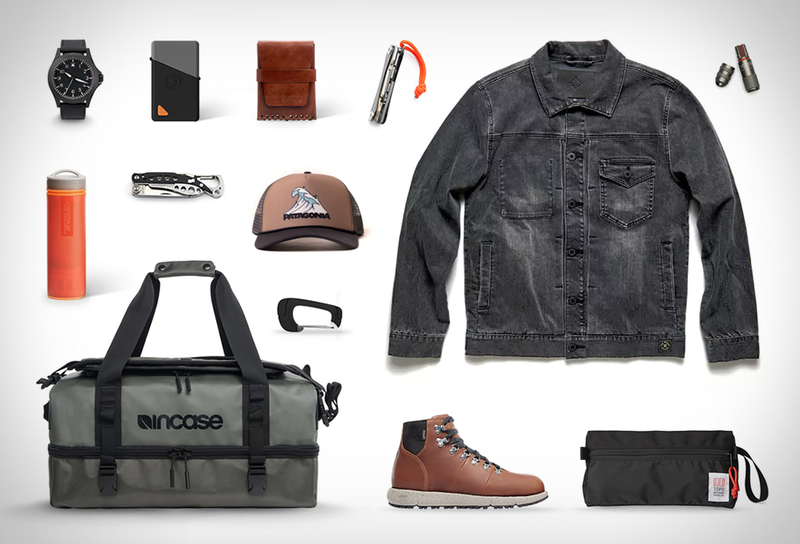 Incase has been protecting gear, devices and valuables with their near-indestructible bags and cases since it was founded back in 1997. The TRACTO split duffel is rugged and ready, and features a clamshell opening that gives you quick access to all of your gear. A one-stop, highly pocketable fire and light solution for everyday carry. To make the Sparkr Mini, Power Practical took the classic hinge top lighter and put their practical spin on it to make a portable, pocketable lighter with a built-in flashlight. The windproof arc lighter is powered by rechargeable battery, and housed in the bottom is a small but bright flashlight. Roark’s HWY 41 Denim Jacket is inspired by the highway that leads inland from the Pacific Ocean to Yosemite National Park, one of our nation’s greatest national treasures and homebase for uncountable adventures in its wildlands. With a worn in look and slim fit, it’s stylish, and the tough denim is built to last for years—and many adventures—to come. Leatherman has expanded their line up these days, but their tools still boast every iota of reliability and utility that made them legendary. The Style CS is a stripped-down-to-the-essentials multi-tool with a handy built-in carabiner for easy carry. An everyday portable carabiner charging cable for all your Micro USB devices (Android phone, Battery Pack, Jawbone), thats carrying your keys, water bottle, or other gear at one moment and charging your phone at another. This is the only carabiner clip that is also a charging cable, use in place of an accessory carabiner and youll never be without a charging cable for your phone again. A match case that stands up the elements and anything else you throw at it. 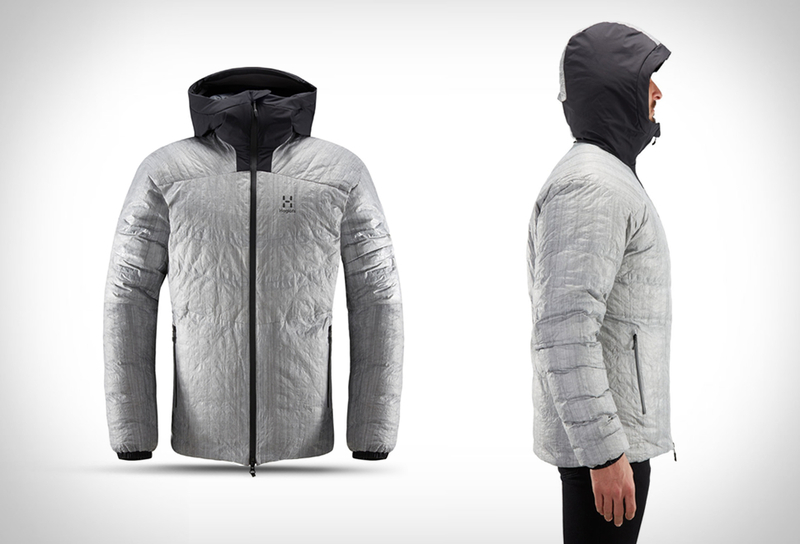 Combining their love of the outdoors with engineering knowhow, the Exotac team strives to design extraordinary, high-quality and unique outdoor and urban gear. The MATCHCAP is a nearly indestructible waterproof match case for storing matches and other fire-starting material. Through the use of unusual and unique materials, Ventus puts a modern spin on classic watch designs. The Black Kite B-01 retains all of the legibility, durability and accuracy a pilot demands of his watch and combines it with a carbon fiber case — a material that’s incredibly lightweight yet stronger than steel — that’s perfect for performance applications.